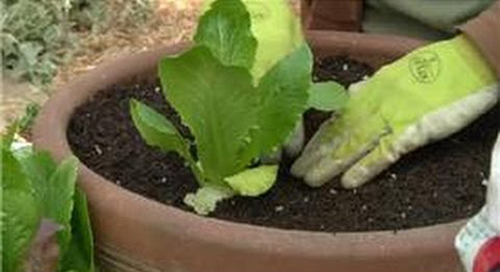 It's that time of year again when growing fruits and vegetables in garden pots is fun and easy to do. 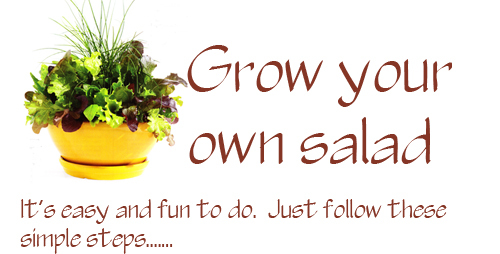 Instead of buying the over priced bagged lettuce at the grocery store - try to grow your own. You can purchase the seed packets at any local nursery or garden center. Plant them, water them and in a couple of weeks harvest them. It's a snap! 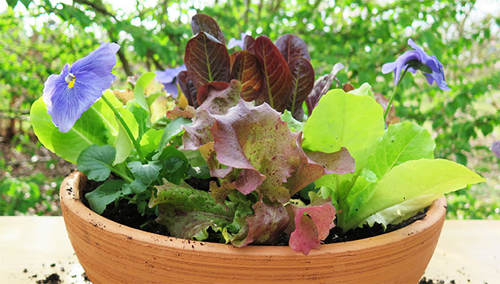 Growing lettuce in a garden planter is not only practical but lovely! Many exotic lettuce seed packets are available now. Don't settle for a plain simple variety, try some butterheads like "Dolly" or "Thom Thumb". 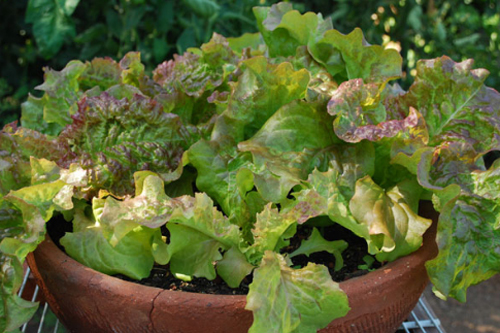 Loose leaf like "Lollo Rosso" and "Royal Oak Leaf" are easy to grow and stunning to look at. You don't have to find a nice plot of soil to plant in - just take a colorful planter that compliments your landscape design and plant the lettuce and other garden items there. Fill the container with potting mix no yard soil, sprinkle on the seeds, cover with more soil, water and let-er-rip! In just a few days your salad bowl with sprout. 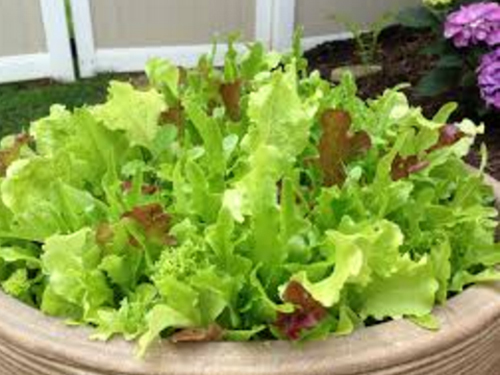 If you do plant in the grown and desire more that just a few meals worth of lettuce, sow them in rows. Then every 3 weeks add a new row and you should have new growth to harvest until late Spring. Be sure and protect the lettuce if the weather gets to warm. When it's time to trim the leaves, make sure to leave an inch above the grown so that new leaves will sprout. Snip outer leaves of head type as they grown and harvest whole heads when full size. The main thing as always is to have fun and enjoy the process.